This company was officially founded at the end of September 2004, but by this time the creation of the unusual timepiece later known as the HL had already been well underway. 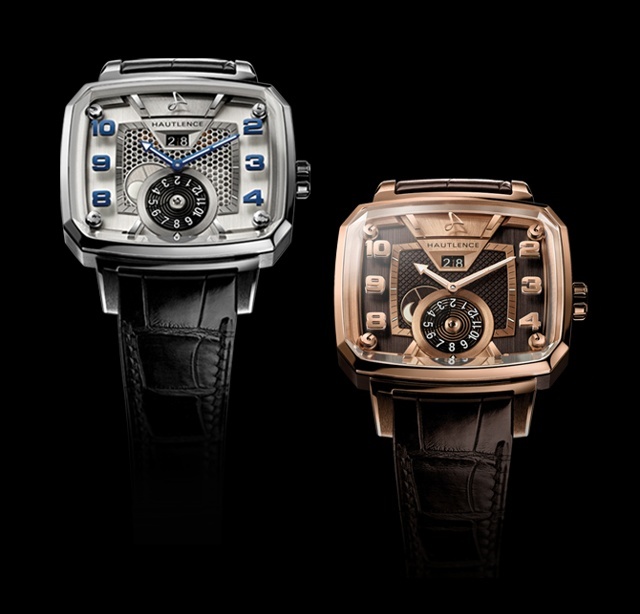 A few years later, I met Guillaume Tetu and his Hautlence co-founding partner Renaud de Retz as they started showing the watch housed in an innovative 43.5mm x 37mm x 10.5mm television-screen-shaped case. Its designer was François Quentin – now known for his 4N project. The project was christened with an invented word that surely sounded a bit odd to English-language ears. Indeed, it was nowhere to be found in any French dictionary: Hautlence is an anagram of the city name Neuchâtel, where the company was born. Hautlence needed seventeen full months from the first drawings to develop the first functional prototypes of what was to become daring, architectural design backed up by unique mechanics. The hand-wound movement was a brand-new construction featuring an element that had to that point not yet been used in watchmaking, which the company called its connecting rod. It allowed for a display that was a unique design twist on the regulator theme: the hour disk, located on the left side of the dial, displays the current hour by means of jumping action that is propelled by the connecting rod (visible horizontally along the bottom of the dial) between the hour disk and the retrograde minutes. When the minute hand reaches the end of its arc, its movement sets the connecting rod into motion and propels the disk forward one space. 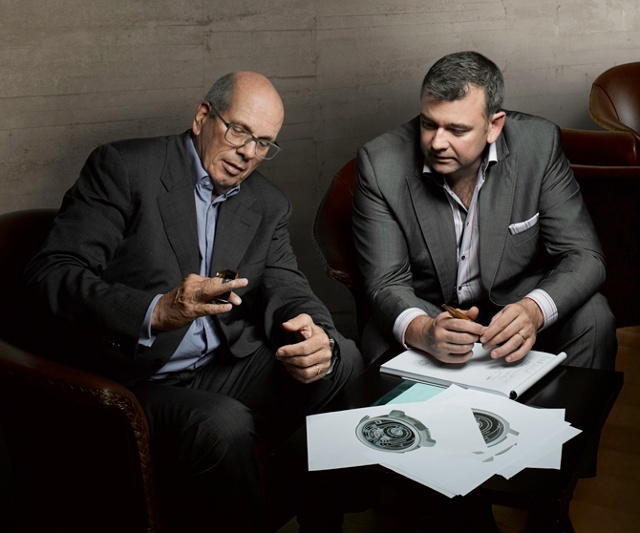 The second phase of Hautlence’s particular style of haute horlogerie came about in 2011: the inventive HL 2. An instant collector’s hit, the automatically wound spectacle—which is able to wind to a full power reserve of forty-five hours in just six hours of wearing time—is visible from every side thanks to an intricately faceted crystal. In fact, the observer can hardly tear his or her eyes away from the hour numerals continuously in motion along a chain just above the retrograde minute function in the center of what should be the dial. The escapement located on the left side of the movement in the crook of the faceted crystal immediately draws the eye into its magic sphere; this rotating escapement alone warranted three new patents for Hautlence. Just two years ago, a few years after de Retz had left for other projects, Tetu decided to head the company to the hills of La Chaux-de-Fonds and better proximity to its suppliers. The company’s avant-garde approach has added something new to the luxury market, providing a younger connoisseur group adequate access to the world of fine watchmaking with its design. After becoming the first brand of the independent family-owned group MELB Holding in early 2013, Hautlence debuted its efficient entry-level timepiece: Destination. Baselworld 2014 sees a continuation of the Destination theme, which is powered by an automatic Soprod movement—explaining its lower, entry-level price—and the use of original house design codes. This month, International Watch explores the independent watchmaking community. Smaller, easily adaptable and often founded more from passion than from a CPA-approved plan, smaller watchmakers inject the collector community–our readers–with exciting design and new technology not always seen among the existing industry giants. Discover other independent watchmakers in this special series.